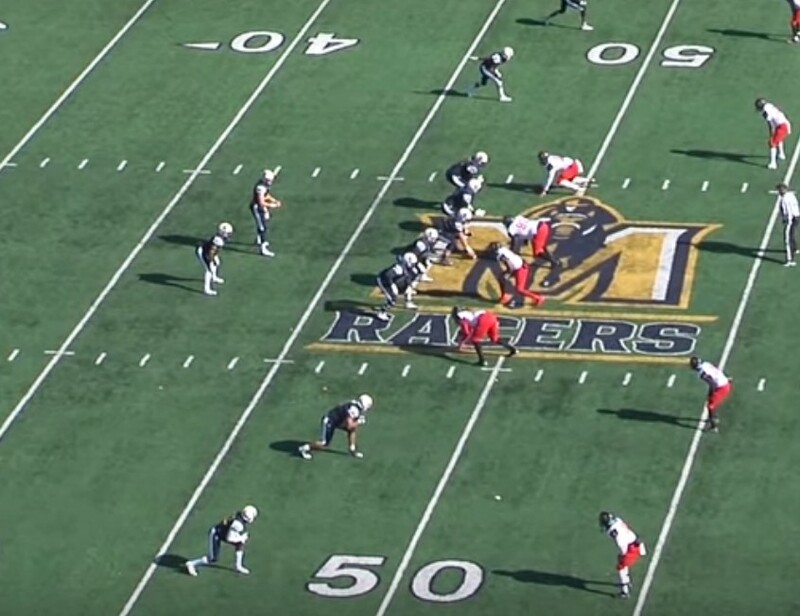 The quarterbacks will be one of the most inexperienced groups this spring for the Racers, with none of the current four having ever started a collegiate game. Though, after studying under former Racers Shuler Bentley and Drew Anderson for two seasons, redshirt sophomore Preston Rice looks to take over from his former mentors this fall. However, no job is given for Murray State and Rice will have competition from redshirt senior Brendan Bognar and redshirt freshmen Michael Hiers and Garrett Bass. 2018 second-team All-OVC selection Drew Anderson and 2017 OVC All-Newcomer selection Shuler Bentley departed the Racers after last fall having each had a successful season at the helm. Anderson threw for 2,864 yards and 20 touchdowns in 2018, while Bentley threw for 1,789 yards and 13 touchdowns in 2017. GR: Who are some of the returners out her for you this spring and what you are expecting out of them? NC: We got a young bunch. We got Preston Rice, Brendan Bognar, Michael Hiers and Garrett Bass and they are all young dudes that have never started a college football game. They are getting some very valuable experience right now. They all had a great offseason in which they worked really hard and built up a lot of leadership qualities that the quarterback position has to have. Probably the best thing about those guys, though, is that they love football you know, they are football junkies. So having them around and watching ball all day is the best thing that they can do and that is what they thrive in doing. NC: The only stat we talk about is leading the country in wins. So, we're going to lead the country in wins, right? Well if you want to do that, you also have to lead the country in completion percentage and lead the country in touchdown-to-interception ratio. So we have to take care of the football and complete balls. That's the two things we want to emphasize right now in spring ball just because we aren't preparing for an opponent, we're just really competing with ourselves and competing with the very high standards we set for ourselves every day. GR: What are some opening day observations you had of your unit after three practices? NC: The best thing I've seen, is just watching these guys grow. Just because they are young and a couple of them have not had reps since they got here with some being redshirt guys and some being scout team guys. So really, just to see them grow and to see the light bulb come on as you go every day out at practice, as you go every day in meetings, that is special. The ultimate thing you want as a coach is to just teach. So to see them grow, to see that light bulb come on, that really excites me.